Most of the following miniatures were painted before GenCon, I just didn't get all the pictures together until after that. 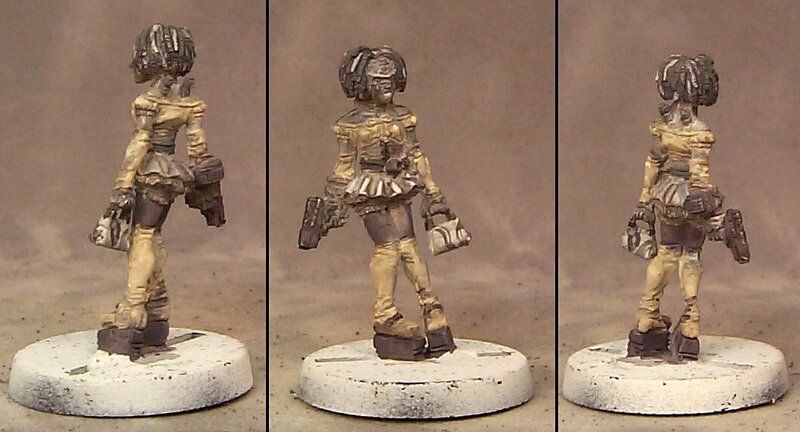 This first one is a Rezolution Hacker chick from the GenCon Paint and Take. I try to hit the Paint and Take every GenCon. The last few years it has been stupidly crowded and the Paint Minions who are there early in the morning have a few jerks in their ranks (maybe they just didn't get enough sleep, but try to not be a when a lady with 2 kids asks a question, dude). Back to the figure, most of the time there's a bit of flash on the minis and the lighting is really not good where they have the tables, but it's a free mini and a chance to hang out and chat with painters of all levels from all over the world. 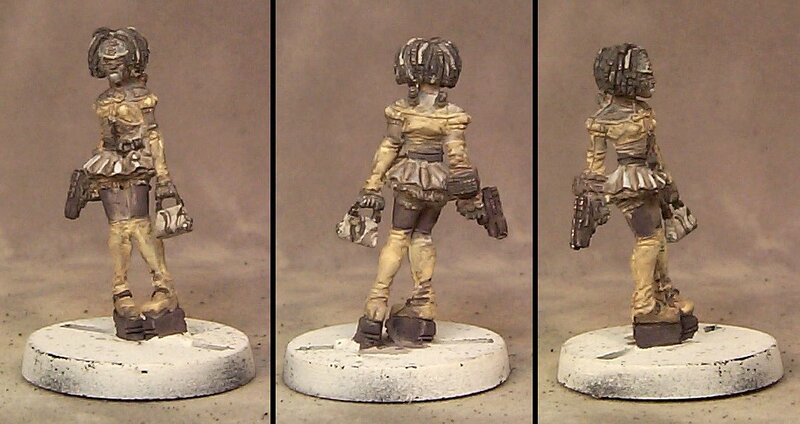 Since this chick had a large piece of flash on her shoulder I decided to try a black and white color scheme on her. It came out not bad but she'll be stripped and cleaned properly sometime soon so I can have another go at her. 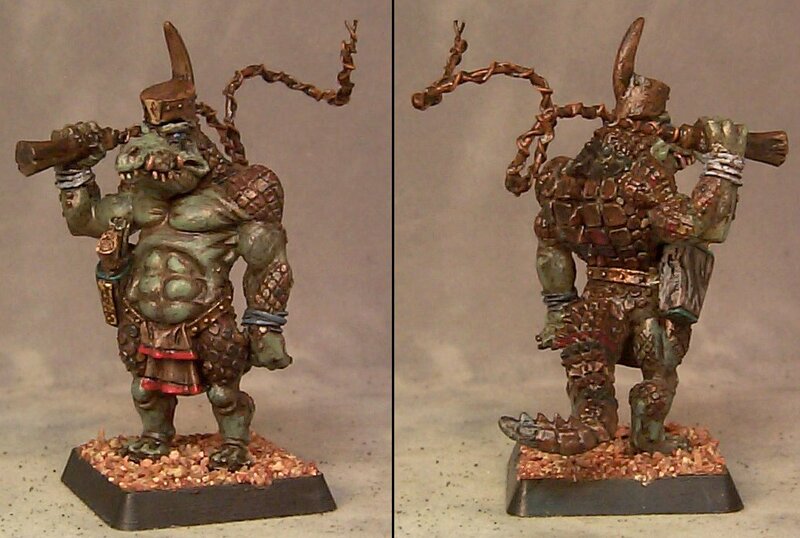 Next up is my entry in the GenCon painting contest. 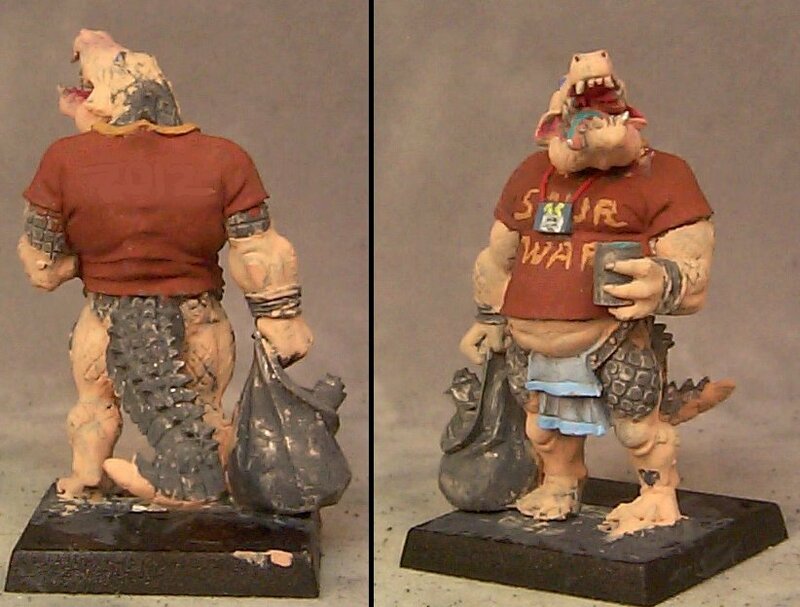 I'd finished the conversion a few months ago but painting on him stalled until the week before GenCon. It's a Crocodile Games Sebeki warrior converted into "Crocodiliopolis Jones" a special character with no official stats that I made up as a joke some time ago. 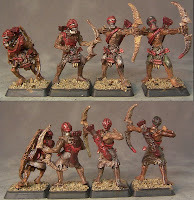 From West Wind's 'Lucifer's War' line of miniatures, these are the Scions of Woe Archers. I've never seen the Lucifer's War rules and fluff, but I presume these guys are lost/damned souls fighting on the side of some dark angel. My plans for them are for use in WarGods of Ægyptus as either Death Cultists (the outfit with the skull "helmet" is just right and I don't have to massively convert some actual WarGods minis) or as poor Asar City Dwellers of Tanis (slaves of the evel Typhon children of Set) because they could easily fit that role as well. And here are the first 10 Scions of Woe together as a unit. 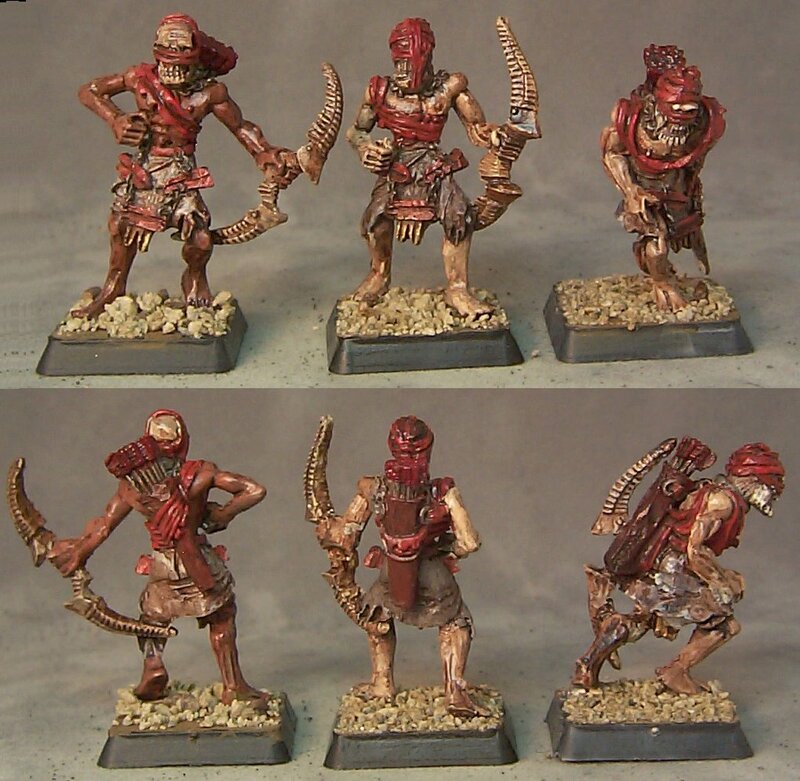 They act as Death Cultists OR Slave Archers for a hypothetical Typhon warband. 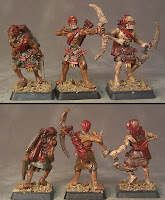 There are some other WiP figures that I hope to have finished soon. This Sebeki is near the top of that list.